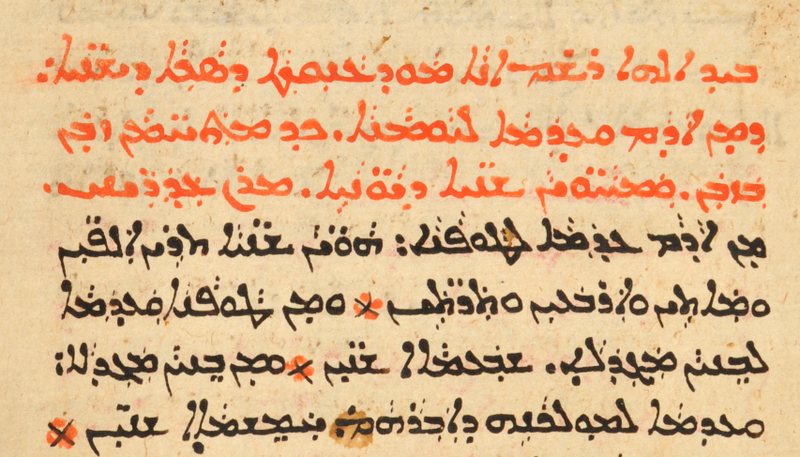 In SMMJ 20 (187v), at the end of the Psalms, appears a short hymn on Jesus attributed to Severos. 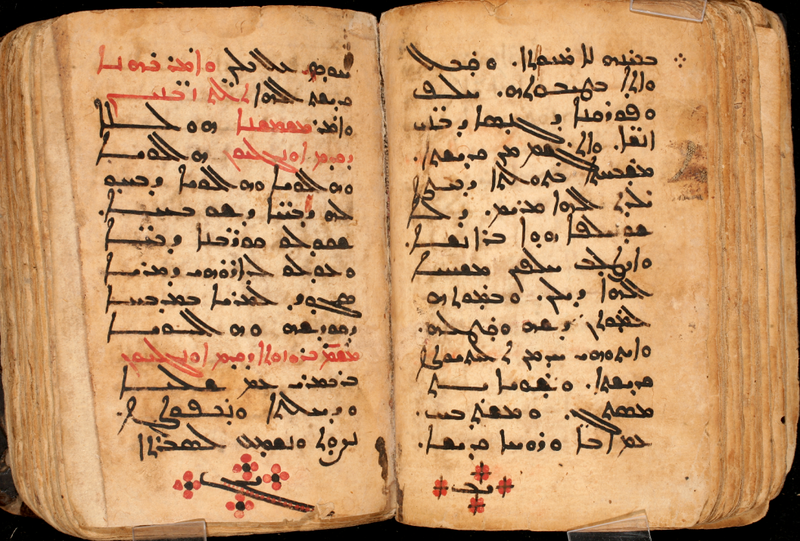 The same text also occurs (probably among others) in DIYR 202, a liturgical manuscript dated 1477, at the beginning of the Rite for the Confirmation of Deacons (77r-78r), but there without any mention of Severos. 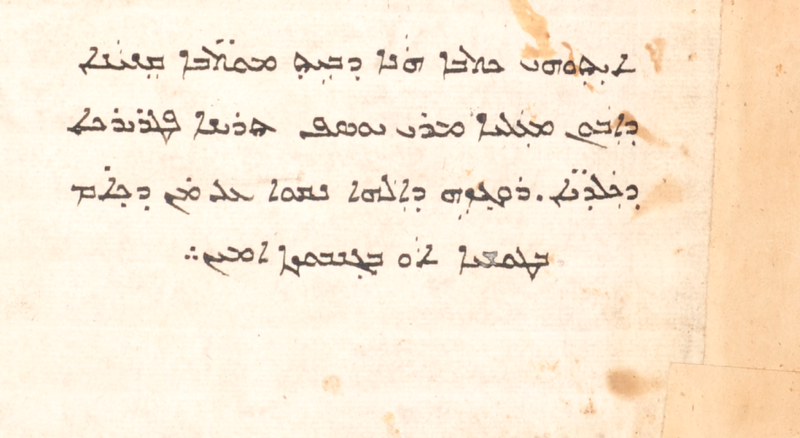 The handwriting of the latter is more careful, so I give images from that manuscript here. 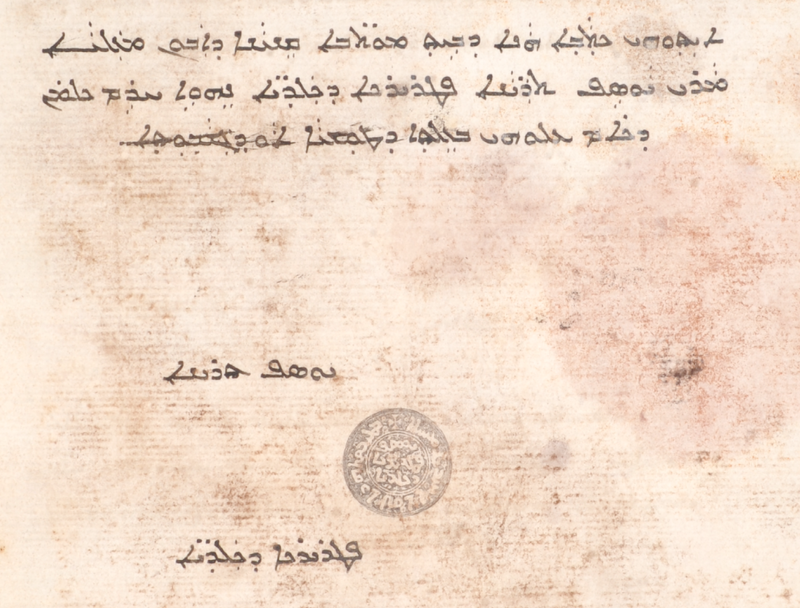 The ending taw-alaf in some cases is written in a unique way that I’ve not noticed before, in which the scribe connects two letters not normally connected. 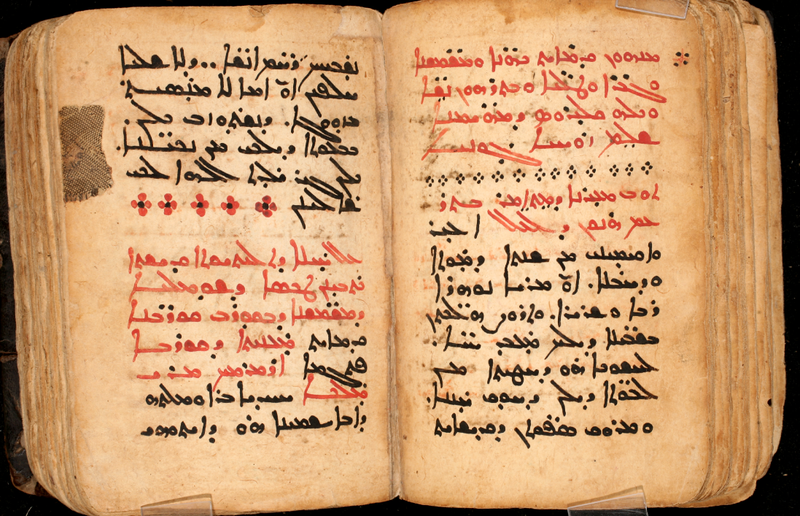 It’s not a particularly moving piece, but it’s short and easy, and so it may be a welcome sample for Syriac students to devote a few minutes to.